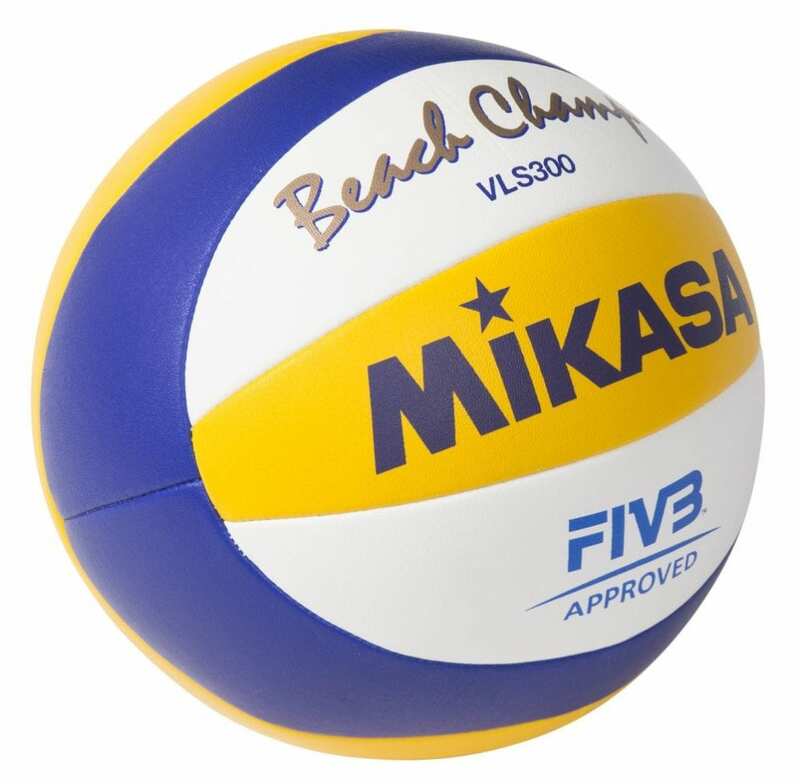 The Mikasa VLS300 Beach Champ is Mikasa’s top of the line beach volleyball competition ball. 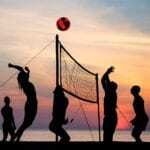 It features all the latest technology to offer the best beach volleyball game experience. 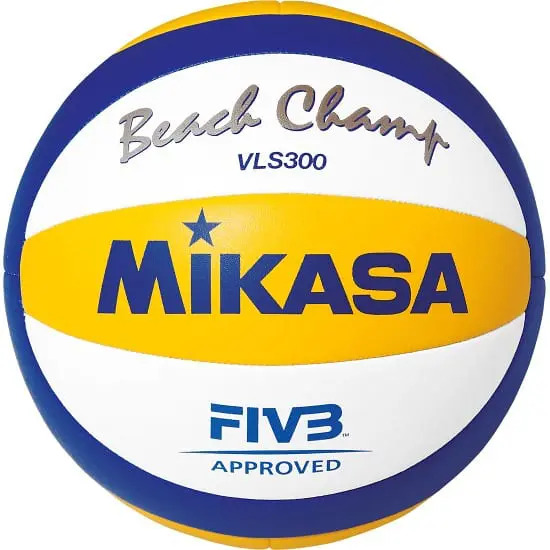 Made using a newly developed softer cover material, the Mikasa VLS300 Beach Champ gives players outstanding handling and control. 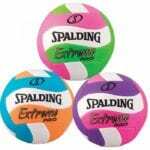 It also features the TwinSTLocked Machine-stitched 10-panel design and has fewer seams than previous versions, making the ball stronger and more durable during hard play. The underside of each panel is reinforced with a specially designed two-layer cloth backing for superior shape retention. The high-quality surface which is made of micro-cell, anti-slip composite leather has improved waterproof properties. It also has additional rubber coating on the inner side of the panels. This feature not only helps enhance water resistance but also helps reduce weight fluctuations. In addition, the LeakShield butyl rubber bladder with a miniaturized self-sealing valve maintains air pressure for consistent play. The butyl rubber bladder can also withstand extreme temperatures. The patented Mikasa yellow, blue and white pattern, is easy to see even on a sunny day. 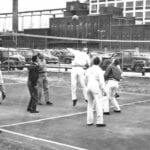 It is perfect for a great beach volleyball game on a beautiful sunny day. 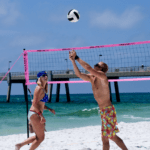 With its high-quality material and excellent features, Mikasa VLS300 Beach Champ is one of the best beach volleyball game balls available on the market. 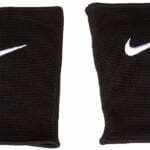 In fact, its top-notch quality has been recognized by a number of volleyball federations. 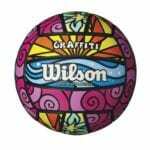 It is the official game ball for national and international competitions. 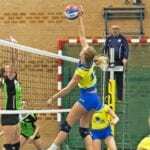 It is the official game ball of Australian Volleyball Federation (AVF), European Volleyball Confederation (CEV) and the International Volleyball Federation (FIVB) World Tour. The Mikasa VLS300 Beach Champ is also the official game ball used in the 2012 London Olympics and 2016 Rio Olympics. Mikasa understands the passion and inspiration it takes to be an athlete and they put that same passion and inspiration, coupled with the best technology, into every ball they make. Especially the Mikasa VLS300 Beach Champ with its official status. 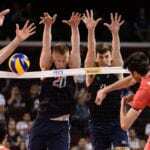 This ball pushes volleyball design further than it has been before. 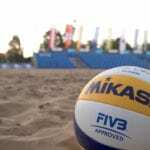 So, win the next beach volleyball game with Mikasa VLS300 Beach Champ.